PRESIDENT Mnangagwa has made a spirited commitment to open Ekusileni Medical Centre in Bulawayo before year end saying he is going to make sure nothing will stand on the way of his efforts to bring fruition to the late Dr Joshua Nkomo's vision. He was speaking before a tour of the institution that has been lying idle for the past 17 years since its completion in 2001. "When this new dispensation came into being we decided to attend to this institution and I discussed with Minister David Parirenyatwa that everything has to be done to make it operational. I was speaking to him and I said what's going on today and he said we are not yet there then I said to him we can go ahead but I am happy to say that on the 15th of July the investors will be on the ground," said President Mnangagwa. He said it was the vision of the late Vice-President Dr Joshua Mqabuko Nkomo to have the facility opened to the public hence its taking time to open was a betrayal of that vision. "As long as I am President, this shall work; no one must stand in our way, any assistance that you want you must tell me and we will make it work. I am happy that Shadar Group of Hospitals is very prominent in India and worldwide with specialists and state of the art equipment too," said President Mnangagwa. The President said he was happy that Shadar made a bid and the team that was responsible for the project would make the correct decisions and demands which were suitable for the country as well as making the Nkomo Family realise the fruition of their father's vision. "Even without them around (Nkomo family), that is the issue that we wanted achieved. Another project in Norton at Sagrinda that was lying dormant is now working. We want to expand and have another plant in Esigodini to replicate the one in Norton (for tomato processing). Let me assure you that with my two brothers here (VPs Chiwenga and Mohadi), that will be achieved," he said. 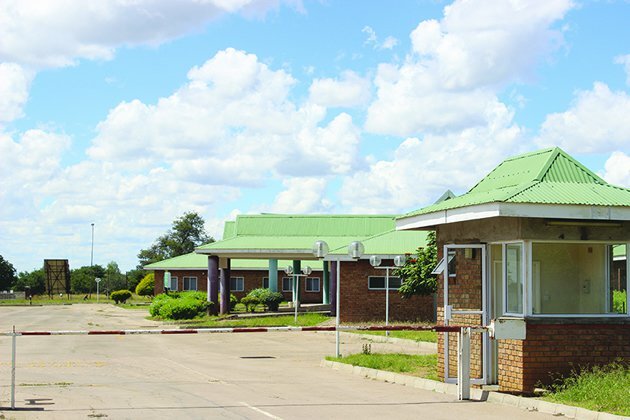 The President said he was surprised that a hospital as big as Ekusileni with 15 departments had been lying idle for the past 17 years, urging Nssa to go ahead with any structural improvements that they see fit. Dr Parirenyatwa said when Shadah Group of Hospitals takes over, they would bring their own equipment and experts so that there is a linkage between them and local experts. "On 15 July they will literally take over the place, it will be a multi-disciplinary hospital which means that if you go to hospital and you want the orthopaedic department you are not referred to another hospital. We want it to have multiple specialties and we have enough room for that. We have identified the areas that we want and we hope it will be in sync. We will also have members of the family that will run the board," he said. Ekusileni was initially supposed to be opened in 2004 but the ministry realised that the equipment that had been installed was obsolete and the move was stopped. A trust was then assigned to oversee activities from then on. Podisso, a South African company was once brought in to run the institution and it installed equipment but some of it remained at the border as there were some disagreements and Government could not intervene. Dr Parirenyatwa told the President that when they were considering the kind of hospital Ekusileni would be, they looked at the three central hospitals and one private in Bulawayo which are all very close to each other and decided that Ekusileni would not offer the same services as the existing ones as envisaged by the late VP. He further said the sentiments that were coming from Bulawayo in particular were very strong in regards to the failure of the institution to open for the past years. Dr Nyasha Masuka the chairman of the team overseeing the institution also told the President that they were looking forward to the super special services that would be offered at Ekusileni. "We are looking at brain and spine surgery, this will be done here together with transplants of the heart and liver that many people are having to travel to India for. The specialists from India also said they are willing to come in for capacity development for local specialists which is good," he added. Dr Masuka also noted that the Indian institution was also willing to come up with terms and conditions for those who would not be able to access the hospital because of funding as the idea was to have everyone access the institution.